The Goddess Maa “Shakti” is the “Supreme power” which saturates the entire of the universe, and from which the Universe has emanated. There is nothing in the world, which is not “Shakti” in its essence. Shakti is the Great Mother of the Universe. Maa fights and vanquishes the evil forces to protect her Bhaktas (Devotees). She is always on the lookout for ways and means of helping her Devotee. Maa is very “Karunamayi”, “Kripalu” and “Dayalu” (Kindhearted). 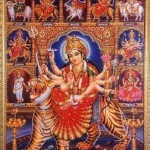 There are several names and forms of Maa Shakti. 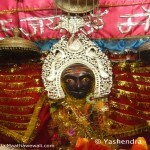 Bhaktas (devotees) worship her by many names in many forms, Maa Thawewali is one of them. There are 52 “SHAKTIPITHAs” in all over India, this place is also as like as “SHAKTIPITHA”. 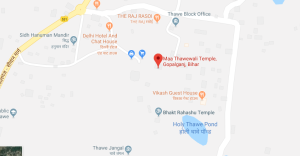 The holy place of Maa Thawewali is situated in Thawe in Gopalganj District in Bihar, INDIA. Maa has arrived here from her another holy place Kamrup, Assam where she well known as “Maa Kamakhya” on the prayer of her great devotee “Shree Rahshu Bhagat Ji”. Maa also known as “Singhasini Devi”. Thawewali Maa is very kind hearted and taking care of her devotee. No one has come empty handed from Maata temple. 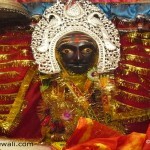 Maa has always answered the prayers of her devotees. 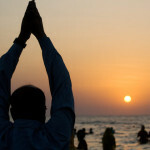 The time of Morning Aarti – between 5:00 to 7:00 am and in Evening 7:00 pm (depends on season). 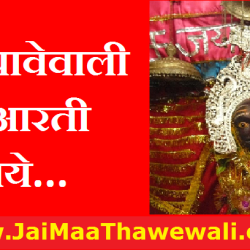 Devotees worship maa with “Laddo”, “Peda”, “Narial” & “Chunari”. 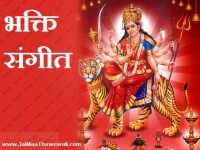 Two days in week Monday and Friday are very important for worshiping to make pleased Maa. 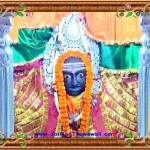 On these days Devotees gathered and worship Maa in large number in comparison to other days. 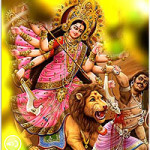 The special Mela is organized during two times in year, in the month of “Chaitrya” (March) and “Ashvin” (October) on the great occasion of “Navratra”. Maa has given each one of her devotees what they deserve to get. Maa needs no expensive preparation from us. She needs few inexpensive and common things. Maa needs nothing from her devotees except few things like devotion Bhakti), pureness (Pavitrata), and love. Greatness and miracles of Maa needs no description in words it is an invaluable experience of an individual who has to experience it in their own SHARDHA and BHAKTI. Tagged maa thawewali. Bookmark the permalink.